The Christopher Centre is an 18th century Grade 2 listed building which is now a resource centre, housing a number of local voluntary and community sector organisations as well as offering a number of rooms available to hire for local events and activities. On this website you can find out about what the building has to offer. As well rooms available for hire, the building offers a number of community and social events and activities and plays an important role within the Sudbury and District community. 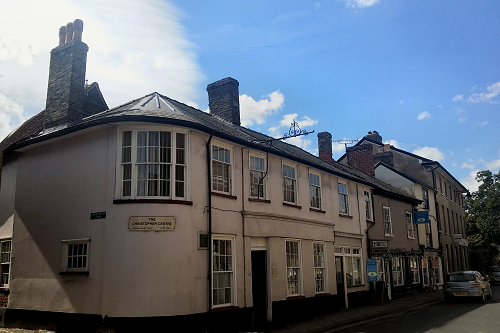 The Christopher Centre is a local resource centre, located in the heart of Sudbury Town centre, almost entirely self-funded and run by a Board of trustees. As well as ensuring the preservation of an historic building, the trustees are keen to see the building used by as many individuals and groups in the local community as possible. If you’ve never visited The Christopher Centre, why not call in and have a look round! The Christopher Centre, 10 Gainsborough Street, Sudbury, Suffolk, CO10 2EU. © 2019 The Christopher Centre.